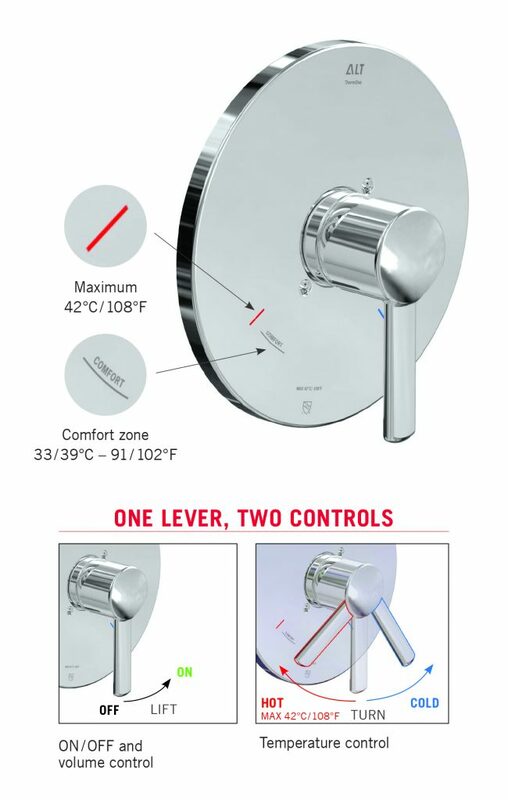 ThermOne is the only UPC approved thermostatic shower valve to offer volume and temperature control with one single handle, just like a pressure balance. The THERMO-DRYTM thermostatic cartridge technology avoids any risk of hot/ cold water cross contamination and is factory pre-set for the hot water never to exceed 42oC/108 farenheit. A great solution for healthcare facilities and senior housing where laws require specific hot water temperature control to prevent scalding, ThermOne can safely be used in any type of residential or commercial project. It is equally an excellent solution for condominium and hotel projects with hot water and energy cost saving objectives. Thermal comfort has never been so easy as the temperature is adjusted precisely, every time, no matter how cold or hot the water supply is during the year. Also, this new anti-scald valve technology eliminates the need to calibrate the thermostatic cartridge ever. 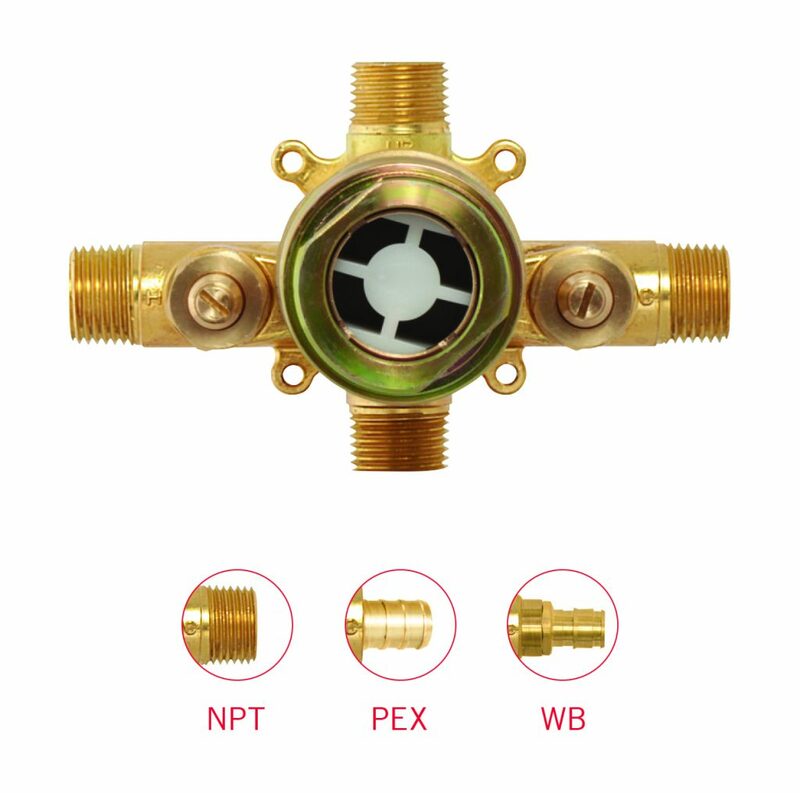 In Sum, ThermOne is a revolutionary valve with Safety, Thermal control and Energy saving features and is available in three different types of connections; NPT/sweat, PEX and WB.